All of the brush sets are undeniably beautiful and just incredible quality. If there's one thing I can easily say about Zoeva, it's that they deliver on both style and substance. 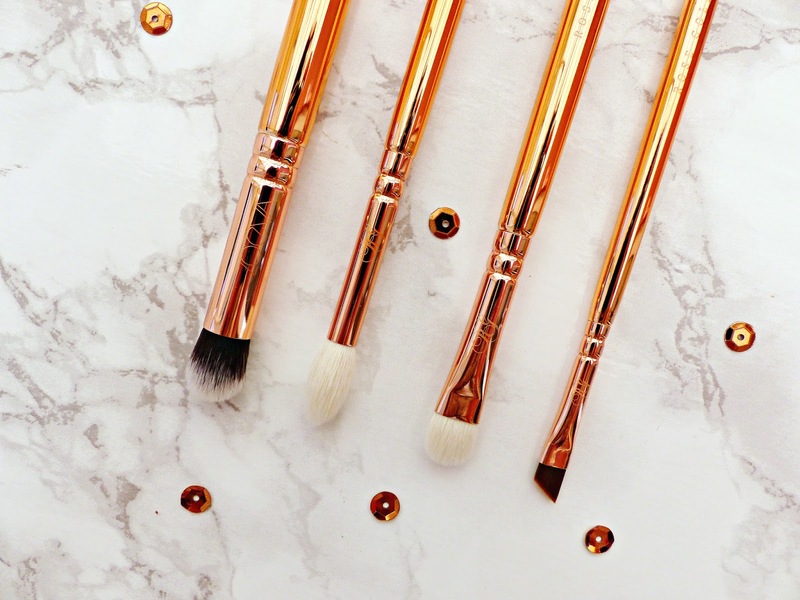 Whilst they aren't cheap (in fact, they do represent a substantial initial investment), you are getting an amazing 8 brushes for £65-75 so that comes to less than £10 a brush. This puts them closer in price to Real Techniques than MAC, despite the super-luxury appearance. I feel like they're the perfect gift to get for your birthday or Christmas, as they feel so special and you honestly will use them so much! They also all come with a handy little pouch which fits the brushes in along with any makeup I might need for a mini-break. Although the brushes themselves can be purchased individually, the design can't be except for the Volume 2 finish. 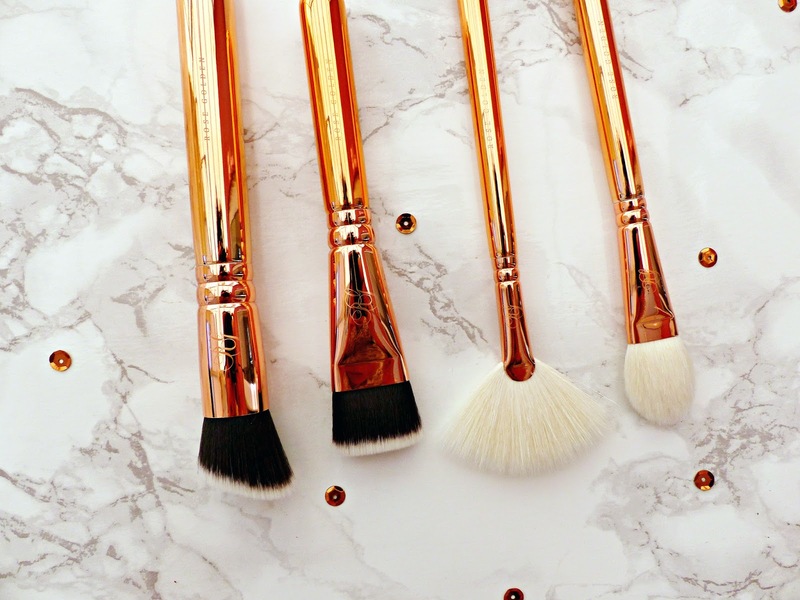 The quality of their brushes really is superb and the majority of their face brushes use synthetic bristles whereas the eye brushes are natural. They're very soft and although they lose a little of that over time, they definitely wash really well for me and hold their shape but you have to look after them. We'll kick things off with the original set and the first one I ever bought (which started off my lethal Zoeva obsession!) This is the one I'd recommend for newbies; whether you're new to the brand and just want a good selection of brushes from their range to cover all the bases or if you're investing properly in your first proper brush set. I'd say that even now, these are the brushes I reach for virtually every day (and I use at least one or two daily without fail). You've got a brush for foundation, contour, powder, blusher, concealer, eyeshadow blending, your crease and eyeliner/eyebrows. The only thing it doesn't provide is a highlighter brush but apart from that, I could do my makeup every day with the brushes in this set. I have to say that all of the brushes are fantastic but the ones that are all-time favourites for me are the Silk Finish (perfect for any medium or full foundation formula, especially Nars Sheer Glow), the Concealer Buffer (amazing for blending concealer over blemishes seamlessly into my foundation and the perfect size and shape for getting into any awkward spots), the Luxe Soft Definer (the perfect do-it-all eye brush for applying the base colour, doing your crease and blending it all together - it beats the MAC 217 for me) and the Petit Crease Brush (amazing for precisely applying a darker crease shade). I have to say the Sheer Cheek, Powder and Face Shape (though I have seen Lisa Eldridge use this one for foundation in her videos so I will be giving that a go) brushes are my least-used as I just have others I prefer in my vast collection, however that's not to say that you won't use them loads if you're investing in this set as your everyday brushes. I really like the Wing Liner brush for applying the Anastasia Beverly Hills DipBrow Pomade too. There aren't that many duplicates in this set, you will notice, so if you own this one I definitely wouldn't say you're wasting your money buy buying any of the others. However overall, I'd say this is the perfect place to start. I love the classic black handles with the rose gold finish, as it's just such a timeless, beautiful design. In all honesty, I'd barely bought the original set when I picked up this one because I was just so blown away by the brushes that I couldn't resist. This is probably the least 'essential' of these sets but I really do love the powder blush finish and the extra little touches it has like the embossment and the slightly more elaborate design with the pouch and handles. There are a few brushes I use to death, a couple more that I reach for occasionally but there are a couple that I rarely use (probably the most out of any of the sets). I sometimes reach for the Face Paint Brush (for a sharp, precise contour with a powder product), the Buffer (for flawless, full foundation coverage) and Luxe Cheek Finish (which is great for packing on your blusher and buffing it in, as opposed to a softer, more blended-out look). I don't use the Brow Line or Wing Liner from this set much because I've tended to use a pencil recently, and even if I decide to go for a pomade, I tend to use the Volume 1 Wing Liner (given that I don't wear gel liner, I don't really need a duplicate of this). I don't tend to use the Smudger very much either. They are totally gorgeous, however when I bought these they weren't available individually so if I could go back I'd probably just buy the brushes I know I'd really use. However that's just me! Someone else could look at this set and know that they'd use every single one on a daily basis. The latest addition to the range just takes the gorgeousness to a whole new level! 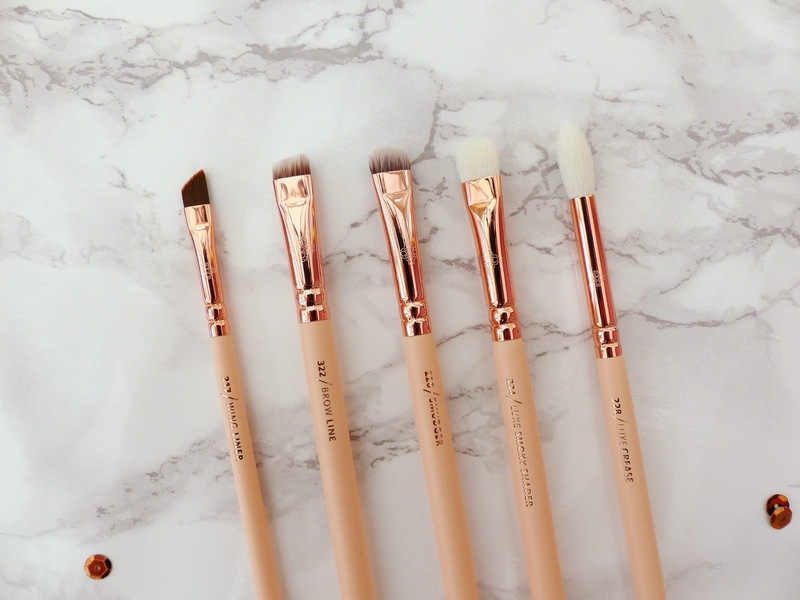 This time the entire brush handles are finished in the rose gold colour, which just looks stunning! I was very kindly sent these however if I only had the other rose gold sets I'd have happily bought these myself, however I'd actually tried quite a few of these brushes other sets and as singles too. I'd say that if you have the original set then there's definitely the variation in here to also own this. If you have the Volume 2, it's still potentially worth it but a little harder to justify. My most used brushes are the Defined Buffer (it works similarly to the Buffer but I just find the shape is easier to use) and Vegan Face Paint (for blending out cream contour products). 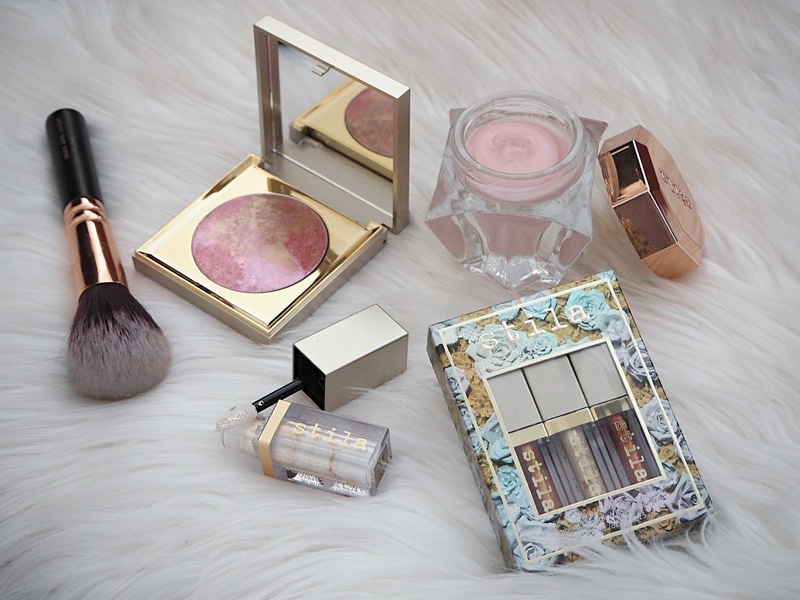 I also reach for the Luxe Fan Brush (I mainly use this to really subtly apply highlighter) and Luxe Face Focus (for setting my under-eye concealer with powder) fairly regularly. This set does contain a few duplicates, however in the main part I don't mind too much as I use the Concealer Buffer daily, so it's handy having another. Again the Smoky Shader and Luxe Crease are amazing brushes I use all the time so it's convenient to have a fresh one of these two. The only one that's a little unused is the Wing Liner as I have one from all three sets! Overall, it does have a few in common with the Volume 2 but I personally prefer the non-duplicates in this set to the ones in the Volume 2. So if it comes down to deciding between the two, this is the one I'd really recommend. I just think the finish is beyond stunning, I use the brushes more and the fact that you can buy the Volume 2 brushes individually really does tip it for me too. I really hope this was helpful to anyone looking to invest in one of these sets! Personally I think the original set is some of the best money I've spent on beauty! 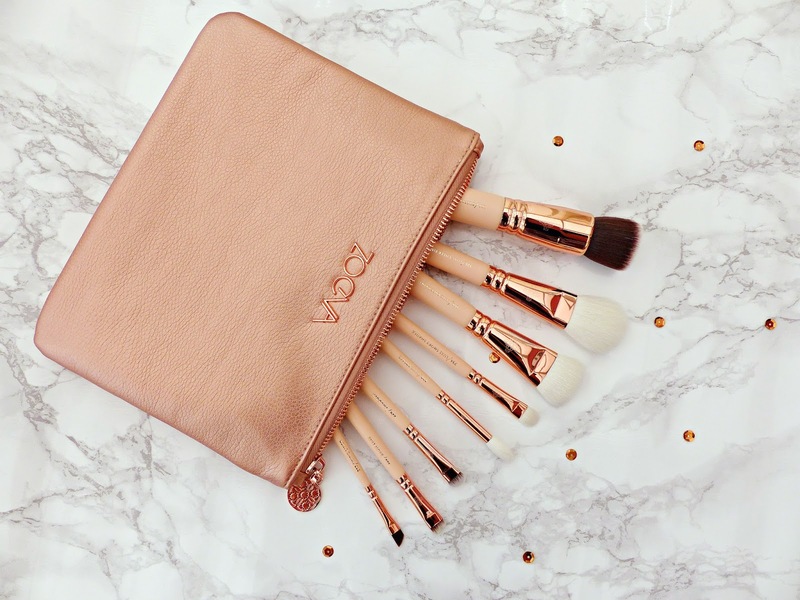 Have you tried any of the rose gold sets? What did you think? Which do you want if not? I love zoeva brushes!! Just got some additional brushes for my birthday and I was sooo happy! Oh gosh they all look so dreamy! I have the vol.2 eye brush set but I've been looking to get another set, they're such lovely brushes! You definitely sold me on these brushes! Hopefully I'll be getting some soon enough :)Loved the photos! I need all of these! They are all so stunning! Volume 3 Luxury Set is the one for me I think! Lovely post! I have the volume 1 and I keep hesitating between the volume 2 and 3: I prefer the Volume 2's look, yet, as you said, I believe I would prefer the Volume 3's non duplicates! These are beautiful, especially Vol 2. Great post and very in depth. All three sets look absolutely beautiful. My head says to go with Vol 2 but my heart pulls me more towards Vol 3, this is basically down to how pretty they are though. I don't really think the solid rose gold ones are a great collection IMO. I have it and find myself only ever reaching for the smaller brushes, the contour one and defined buffer brush are ignored by me haa. I love the original collections though, I love that they separated the eye/face brushes. I have the volume 2 set and I'm obsessed with it, the eye brushes are so good and they are so pretty! Thanks for such a thorough review! 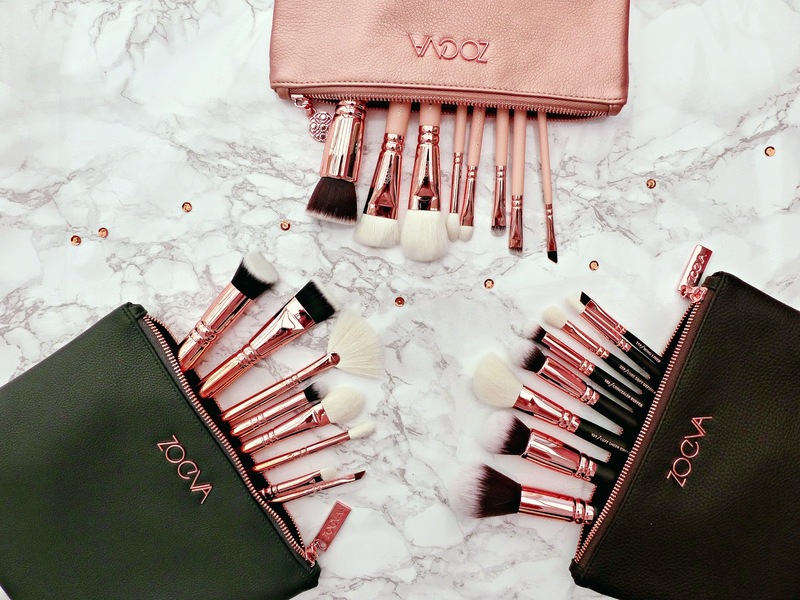 I've heard nothing but good things about Zoeva brushes- wish they were easier to find here in Canada! This post has been really helpful for choosing a set, great comparison and photos. 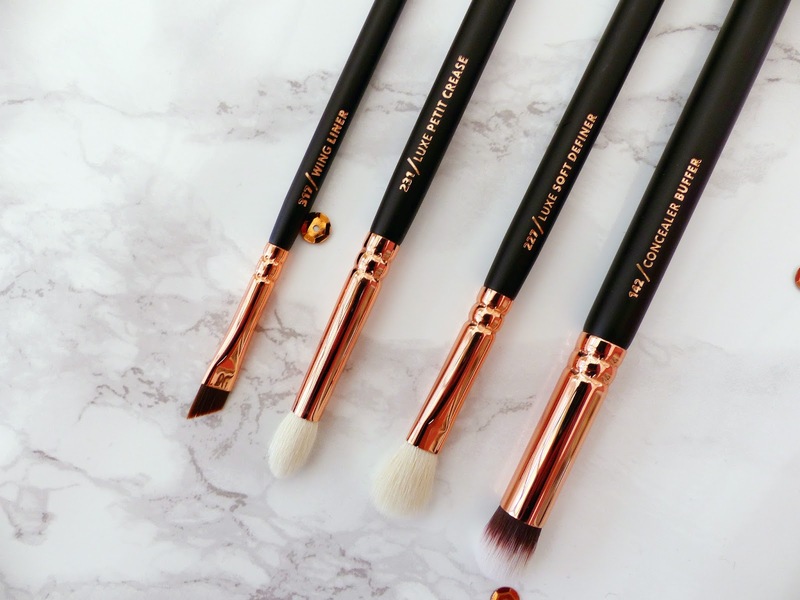 The petit crease brush is probably my favourite ever eye brush but the 3rd set looks beautiful and love that it includes a tapered face brush, I love using those for cheek products. These are beautiful! I love how they look, the rose gold is gorgeous! I love the look of vol. 2! 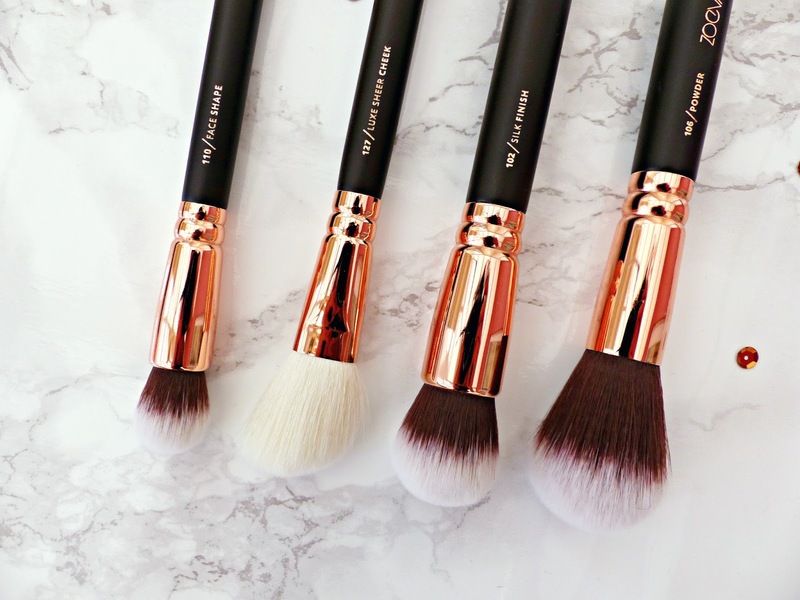 The face brushes in it are just the type I love to use daily, and the eye brushes look brilliant as well. Zoeva brushes are at the top of my wish list with Morphe Brushes, I'm definitely excited to try some out! I love the sound and look of Rose Golden Volume 1 personally, so when I do (finally) invest in a set, that's the one I'll go for. 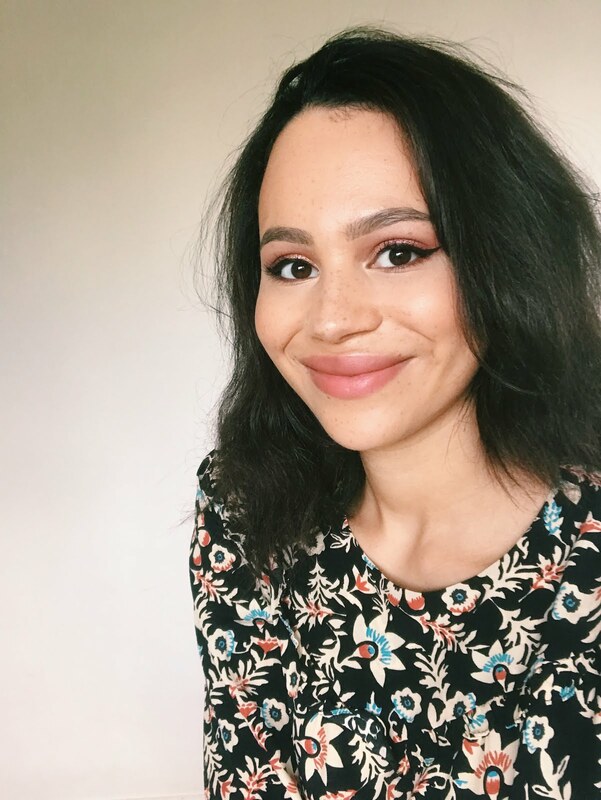 This is such a helpful post so thank you so much for doing it Jasmine! And I hope you had fun in NYC!! 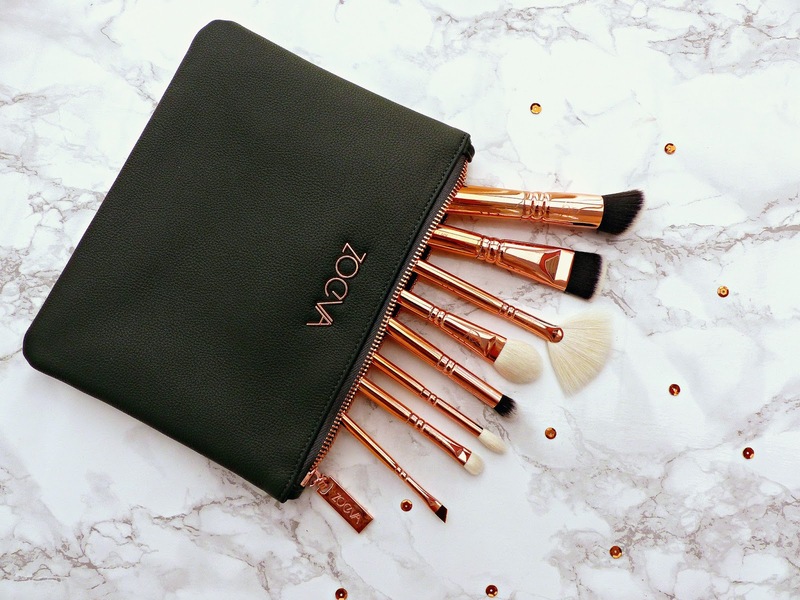 Zoeva make up most of my brush collection and rightly so, they are amazing! 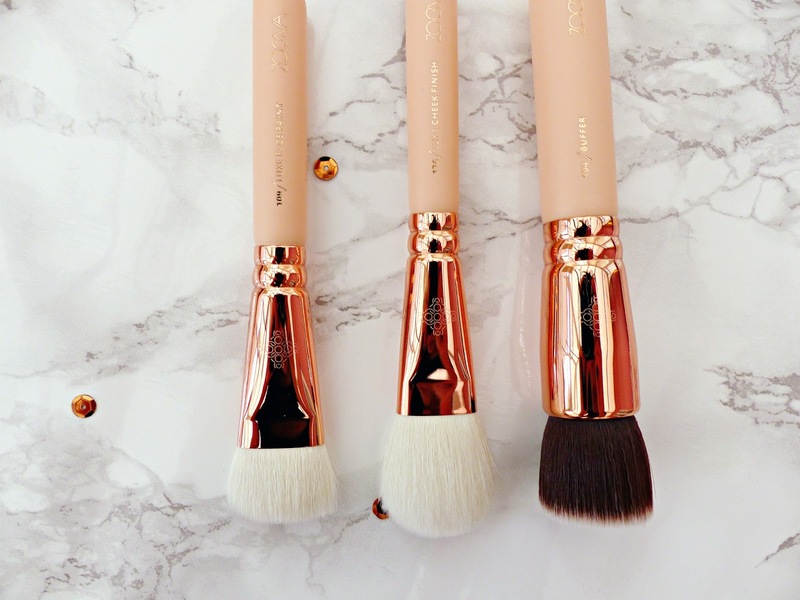 Zoeva brushes are so dreamy - I really want the original rose golden set, although the other two are super pretty as well! 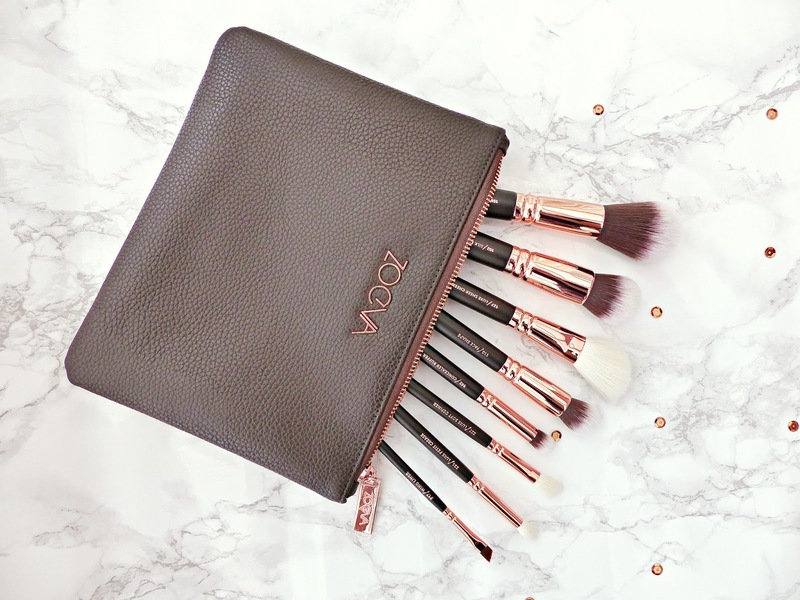 I'd like to try some Zoeva brushes so this is really helpful! I love the finishes of the brushes, especially the third, but I'd probably end up buying brushes individually. Who needs to decide which one to get when you can have they all?! Haha! I loved how indepth you went about all the brushes and duplicates. It was really interesting to see the difference between all three of the collections! I just need all three!!! I honestly thought they were all the same but different colours up until now. I really want to try some, they look so good! These look absolutely incredible, I'd love to get my hands on one of the sets! This is heaven!! Thank you for this and very helpful I'm going to look into buying vol 1 & 3!! I've wanted to try these brushes for so long!